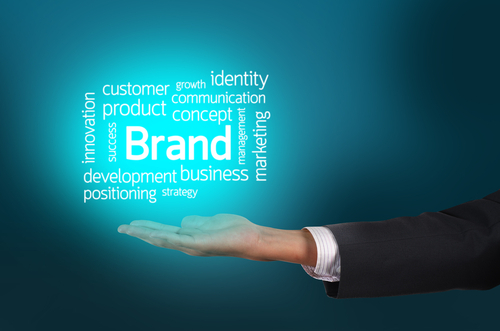 Do you own your brand? Maybe you designed the logo, chose a name, built a website and crafted a witty slogan, but none of that means you actually own your brand. A brand is more than a name, patent, trademark or slogan — it’s the perception of who you are and what you provide. So, essentially, it’s your customers who own your brand, not you. Leading companies such as Nike, Apple, Anheuser Busch — the brands you know so well you have the commercials memorized — understand this more than anyone. They’ve created the marketing, products and culture necessary to build a top-tier brand, because they understand people and their emotions. If you feel like your company has lost control of its brand, these are some of the valuable lessons in the industry to help you get it back. When you think athletic shoes, you think Nike. They make the world’s most popular sneakers, are associated with legendary athletes such as Michael Jordan and Lebron James, and make some of the most memorable ads on television. No one can match their brand — it’s not even close. But look out, here comes Under Armour. A company once known for nothing more than compression shirts is now challenging Nike by predicting the biggest athletes in sports, signing them before their big break (Steph Curry, Bryce Harper and Michael Phelps, just to name a few), and creating ad campaigns around them that put Nike to shame. Under Armour didn’t waste the time and money to reinvent the wheel. It’s just beating Nike at its own game. Nike makes great running shoes, but most professional runners and experts in the industry actually don’t use Nike shoes. Brands such as Brooks, New Balance and Asics make better shoes for serious runners, but still Nike outsells these brands every year. A company should always strive to make great products. But when you create a culture of the best, your brand will dictate the price. People want to know more about the products they buy, the people who make them and the lives they change. Company websites such as Amway Connections are more than just blogs; they tell stories. And when you can display real human connections between brand and consumer, your company is no longer one out to just make money. It’s a company that’s out to help improve people’s lives. Simon Sinek uses Apple to display the power of a why. Apple’s brand isn’t computers or iPhones or iPads — it’s changing lives with technology. “We just happen to make computers,” as Sinek says. The idea of changing lives with a cellphone may sound cultish to some, but that’s the sort of Kool-aid that makes Apple one of the wealthiest companies in the world. People have their gripes with social media, but it can be the lifeblood of a brand. And a social network’s best quality might be the ability to expose a brand that is not authentic. You know the type: Some out-of-touch marketing manager wants to cash in because “Instagram is in with the kids” and puts in the bare minimum effort. Every consumer will see the company for what it is: phony. But the brands that walk the walk and talk the talk — outdoors retailer REI, for example — shine on social media. Why? Because even the most seasoned and professional outdoorsmen and women can see that REI is a brand that knows everything about hiking, camping and outdoor activity. REI’s Instagram feed is full of stunning shots, top products and links to articles written by outdoors professionals.